With the advent of bands combining elements from different genres such as the rock scene and the hip-hop culture, mixing up guitar riffs with mad beats and free flowing lyrics, Kings of the City do a great job in standing out from the crowd. This London-based seven man group blends blues rock-n-roll, hip-hop and grime like no other. A diverse group as theirs will surely cater to audiences who like unique sounds and have eclectic musical taste. And now we would also like to introduce them to the FrostWire community with a very special feature. Kings of the City – a FrostWire Special comes filled with 6 great tracks which all previously appeared on the double EP entitled No Guts, No Glory. With Make Me Worse, the first track on the feature, you are sure to get a good taste of whats to come from the very second you press play. Starting off with a calm acoustic entrance and catchy lyrics the song quickly turns to quick rapping power song with a hint of blues and rock-n-roll in its composition. Madmen showcases more of the blues rock-n-roll side of the group and presents a heavier theme than the other four. While Please Tell Me, slower than the other tracks, is a dark ballad that will sube make you asking for more all while being entirely encompassed in the band’s intended musical style. 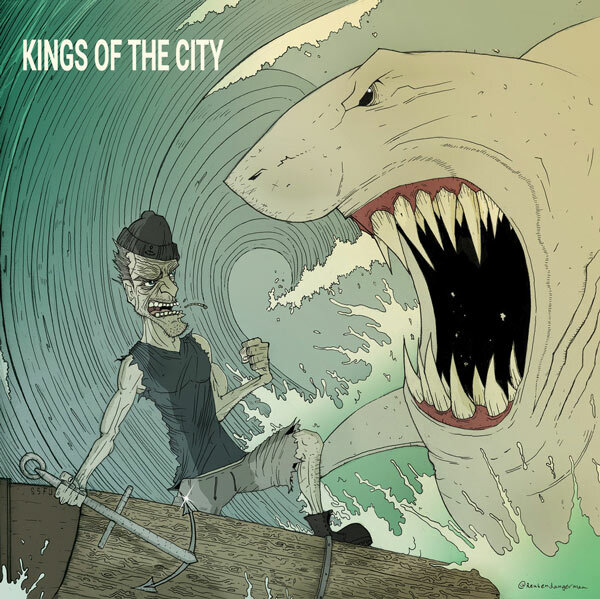 Kings of the City certainly bring something fresh and new to the table. And with the six tracks specially selected and included in our FrostWire promotion you will definitely get the feel for where the band is heading. If you like what you hear be sure to give the boys the shout on their Facebook or Twitter page.